Top ten Naija Music videos is dedicated to Nigerian music industry, specifically appraising trending videos online for: Video Quality, Message, Delivery (Translation of the song in question), YouTube deep statistics which shows shares, views, comments etc. Top Ten Naija Music Videos is Naija Online TV’s original Web series and viewers can watch their favorite celebrity shine in reviews by our in house writers and music experts. Viewers can also comment/share their views, nominate other videos for consideration in coming week’s list. The maiden edition which debuted on the 08|04|2016 sees Olamide, Tiwa Savage, Flavour, Wande Coal and much more. We have also introduced a sub-section tagged: New Video of the week after each week’s edition and Poor Performed video of the week which features new videos of the last month or two. There’s been a huge turn around of some certain Nigerian music videos this week, including over 20 videos released with the last 10 days. Sit back, relax and enjoy! Note: Poor Performed video of the week only means they are not where we expect them to be in terms of shares, promotions, views etc. Released in January, this video didn’t not start gaining rapid views until the end of March till April ending. It has seen over 4934 shares, and gained 529 subscriptions from people who viewed the video. Timaya has been one of the most successful Nigerian artistes in the last 10 years, and although it seems like a new era, he continues to drop relevant music in today’s Nigerian music world. This video drops to No 10 spot this week and was Last week’s new entry. Is it on its way out? Nearly a week goes by since it’s release that this video doesn’t get played over 200k times. Slowly, Yemi Alade continues to re-affirm her dominance in the music industry. And there’s been speculations that Yemi Alade’s Ferrari is a reply to Davido’s massive track Aye. Read the review here: Is Yemi Alade’s Ferrari, a response to Davido’s Aye? Following the release of Yemi Alade’s critically acclaimed sophomore album “Mama Africa (The Diary of an African Woman)”; the Effyzzie Music diva releases the music video for “Ferrari”. The high-life track which is produced by DJ Coublon and features strings from Fiokee serves as the album’s official third single; following the dance anthem “Do As I Do” featuring DJ Arafat and the Selebobo assisted gratitude preaching hit “Na Gode”. The music video for “Ferrari” was shot by the award-winning Clarence Peters and features Nollywood heartthrob Kunle Remi. Watch, share, enjoy and buy “Mama Africa (The Diary Of An African Woman)”! Despite several headlines surrounding the recent outburst and suicide attempt of Teebillz, and might we say former Hubby of Tiwa, or do you see them coming back from this? #IfIStartToTalk video released merely hours before the suicide attempt continues to grow in views by the hour. Nearly every blog has some story on the former power couple, from headlines like: Pastor Felix Libarty To Tiwa-Tee Billz: Your Marriage Is Under Spiritual Attack, Peter Okoye refuses to speak on the Tiwa – Teebillz, Five Vital Relationship Lessons From Tiwa Savage/Teebillz Marriage Crash and The Net’s 19 of Tiwa Savage and Teebillz’s PDA, it makes you realize how we take social media for granted when venting personal issues. With 245,243 views within 3 days of release, all might not be well with Tee Billz and Tiwa, however the Tiwa Savage brand remains unshaken. Dr. Sid who was also accused was awesome in this video in between. Baddoo, the musically confidence of coughing out hits after hits like he just goes under his pillow to pick up ideas and lyrics releases this video. Just a week after dropping the single to mark his adding another year to his age, king of the street, Olamide, drops the official visual to the hitmaker “Abule Sowo”. This video and song is one you would find on many individual playlists on Youtube. On radio, not a day goes by when it’s not played 2-3 times on most stations. It deserves every bit of success it gets as I believe it’s a jam for all ocassions. Thanksgiving, party jam, car ride and grind…lol! The highly anticipated Clarence Peters directed video shot at various locations in Lagos is definitely set to take the tune which has already began to own radio stations all over the country. Since then, this video has actually lived to its expectation and particularly online, it continues to be an important track on playlist. With over 1.3m views, this video has been liked 6,246 times, and although disliked about 329 times which makes you wonder what else you could do to please people, lol, it has also been shared about 5,244 times. Mavin Records continue to dominate the first half of this year with multiple videos out this year. Hope y’all taking note, come ending of the year when awards roll out, won’t be surprised when ‘the Mavin’s crew’ clinch most of the awards. Mavin’s fresh boy and ladies’ Mr romantic remains at No. 5 this week from no 3 last week. Uncle, erm I was thinking, erm we were thinking…how can we have a playlist like this for Videos in 2016 without Mavin Wonder boy’s not so new Jam? Published 7th of March, Mungo Park continues to be the talk of social media, with over 1k comments, 1.3m views and 11k likes. With the most loved humor of Don Jazzy, a trend in his latest videos, it appeals to both the young and the old school. Abeg enjoy jor! Climbs up to no 4 spot on the chart. This beautiful Song produced by T.K; the video was Written, Produced & Directed by Banky W for EME & TILT Productions, and shot in Lagos Nigeria. Banky playfully takes on tribalism with this video… it’s a modern day Nigerian Love story, where we see Banky & Chidinma’s characters falling for each other, despite the disapproval of her parents (two of Nigeria’s most legendary and iconic Entertainers, Zack Orji & Onyeka Onwenu). In these days when the term #YorubaDemons has both been a cause for humor and concern, the video playfully shows just what lengths one can go to fight for the chance to love. 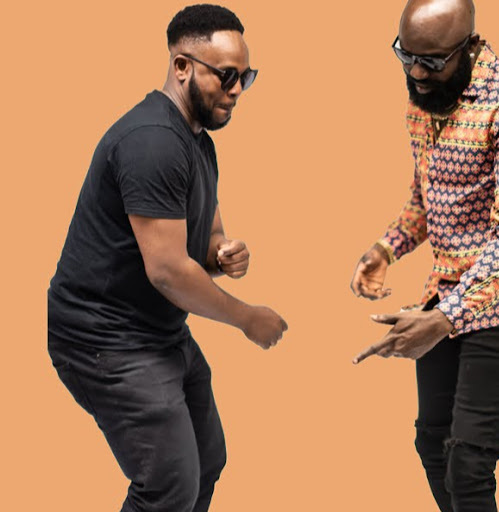 Kicking off and out Darey | Asiko Laiye Remix ft. Olamide and Falz | Soldier from the No 7 & 8 position from Top Ten S1 E2, is this track from Reekado Banks. With a huge plays of more than 1,131,520 recorded including shares and likes this week, this video continues to be one of the most played videos online. It climbs up to N0 3 spot this week. New entry, Reekado Banks of Mavin Records, Hip Hop Awards controversial Next Rated award winner early this year, makes the list of most promising videos online as compiled by Check Republic on Naija Online TV. This video which seems to be given gratitude to God, Don Jazzy and in a way his Mum, is a very catchy tune. Some of our viewers who asked us why it was not on the list last week, here it is. Please note as confirmed in our statement on debut, this list is strictly compiled by their success online generally not just how many views they have. For further details, please see the Debut list here: Top Ten Naija Music Videos S1 E1. With its huge online success, you would think Mayorkun saw the future when making this track. The fans and people behind your success (From the song) are truly behind u bro! With 1.6m views from last week’s count of 1.4m, this HKN classic is going be on charts around Nigeria for a while. Lovely catchy tune and sometime you can just catch yourself humming it even when the song is not playing anywhere else. Its most amazing feat online however is the fact that it keeps gaining loads of shares and subscription of people who watch the video. This video continues to light up social media trends and with HKN’s Davido always tweeting about how impressive its doing, you can bet it can only climb higher. Retaining the No1 spot for several weeks and remains a video with massive online replays and search, Tiwa Savage featuring Olamide remains the collaboration of the year with no doubts. A massive 2,170,914 views from just 1.7m plus views since Sunday 1st of May, beating that is going take some incredible love online. Not only does this video continue to gain replays, it also continues to gain massive shares. Needs no introduction really, the first lady of the Supreme Mavin Dynasty Tiwa Savage and the YBNL general Olamide team up on Standing Ovation, the second single from Tiwa Savage’s RED Album. Tiwa Savage has been consistent as Olamide from her launch into the Nigerian Music scene. Impressively, this video released in January 2016 and shot by Clarence Peters continues to enjoy massive on demand play online and of course offline. With over 1.7m views and counting, and seen over 5,885 shares which is way higher than any other videos on this list. This wonderful piece from the Musical duo Skuki featuring former YBNL ace Lil Kesh is our new video of the month. Released 28th of April, its gathered 242,962 views so far and counting. A controversial video (If you read the comments) but no doubt a lovely and top class video. Skuki always deliver on their videos as they seem to go all out when making music videos and teaching other artistes how it’s done. Just take a look at their Youtube channel. Released under GRAP music, we at Naija Online TV believes this lovely video should be enjoying more replays than a merely 52,194 views online. Why? Vector is no small name when it comes to Rap Music in Nigeria, he fought for his cred, and might I add, he seemed to hold it down despite the sad saga with his previous label. This is the official music video of Vector performing his previously heard single – ‘Emi‘. The video features some of the best moments of the rapper from last year. That’s all folks for this week, don’t forget to sound off your favorite list below in the comment section, and this would be highly considered if they meet all factors above. Till next week, au revoir!